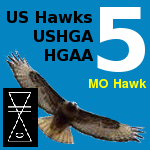 US Hawks Hang Gliding Association • View topic - Greetings! Greetings fellow hang glider pilots! This is the Shasta Hawks (aka Shasta Sky Sailors, Inc.) The Shasta Sky Sailors formed in 1974. We pioneered Hat Creek Rim in 1975 and developed and maintained the site from that time until July of 2014. That's forty years of taking care of and nurturing a flying site. Some of our club members are original members from 1974. In 2014, our club decided that liability issues had become too great for us to continue our involvement at the site (liability issues is what prompted us to incorporate in early 2009). With virtually NO support from USHPA to help curtail the ongoing issues at Hat Creek Rim, our group felt this was the best decision for us and that it was time to retire. 40 years at a flying site is quite a run! Our group is interested in responsible flying site usage and the longevity of our sport and flying sites. Please feel free to post here and if you have any questions, please, ask away. It's an honor for a relatively new association like the US Hawks (founded in 2010) to gain the support of some of our sport's oldest chapters like the Shasta Sky Sailors. So thank you very very much for joining us. The US Hawks is being built to integrate Chapters together in one place so we can more easily benefit from the experiences and resources of our fellow US Hawks Chapters. That's something that USHPA hasn't been willing to do. So please feel free to share your thoughts on any of our local chapter or national topics. That's what we're all about. Also, please contact me any time regarding your forum. When it comes to the Shasta Sky Sailors forum ... I work for YOU. to US Hawks Hang Gliding Assn. It is great to see your commitment to our sport of HG. Also, sure good to see more/new Hawk chapters established in Pac. NW area. Good job for our first post here!!!! Bob K, is there a way to pin Brian's Greeting at the top of page?? BigBird wrote: Bob K, is there a way to pin Brian's Greeting at the top of page?? Yes. I've changed this topic to an "Announcement" which will keep it at the top of the page within your forum. We can also create sub-forums within a club's forum and even sub-forums under those forums. So if you start to get a lot of topics and want to organize them, we can do that. I can also create private subforums for special reasons (like maybe an officers only forum), but I tend to discourage that because a forum is generally a place to address a wide audience. I think email is better for private conversations. All of those decisions are up to your club. You just let me know what you'd like, and I'll carry it out. flyingbrian wrote: Greetings fellow hang glider pilots! Hey Shasta Hawks and flyingbrian, I've mostly towed and I was wondering if there is a tow road in front of your rim that a person could first tow up and fly back to the rim without need of permission to fly the rim or need of insurance? If so I could school you on how best to do it. I started towing Jan. 1979 I used to fly many controlled sites along the Mississippi River for nothing until I moved to New Mexico USA. There's no tow road in front of Hat Creek Rim. However, it's not a regulated site and so there are no requirements or fees to fly there. The site (launches and LZs) are on Forest Service land. We recommend H3 to fly there safely and that's mostly due to the primary LZ being a little small with 100' trees surrounding it. It's also turbulent mid-afternoon and air density is a factor when landing. Most pilots opt for the evening glass-off, that's what Hat Creek is famous for. Yeah, why pass on a perfectly good launch area to tow up? There is a long USDA Forest Service dirt road that runs just behind the Rim but I'm not sure of the legalities of towing off their roads. It might be a bit of a wild ride towing up on the lee side of a 1000' ridge, but late in the afternoon when everyone is 'foot launching', it might be doable. Take a look at the area on Google Earth, that might help too.